In the annals of art history—and I mean the standard art history texts used for high school and college—obviously thousands of significant artists are left out. Well, as I’ve said before and I’ll say it again, I’m here to correct these many oversights! When we discuss early American modernism, it usually involves artists from the East Coast. Well, surprise, there were pioneer modernists from the West Coast at the same time, and Yun Gee (1906–1963) was one of them. The paintings of Yun Gee are such a wonderful interlude between the Armory Show of 1913 and Abstract Expressionism. And yet, it seems that they are seldom included in studies of early American modernism, because he spent a lot of his time in San Francisco and Paris. He was also active in New York. Gee was born near Canton, China to a merchant father who spent much time in San Francisco. Gee joined his father in 1921 and settled near Chinatown, enrolling in the California School of Fine Arts (now the San Francisco Art Institute). The most notable influence of Gee’s mature work was his teacher, the painter Otis Oldfield (1860–1969), whose own work reflected the influence of late Paul Cézanne (1839–1906). This painting, Skull, was executed during a period when Gee helped form the Modern Gallery on Montgomery Street in San Francisco with a group of avant-garde artists. It was a venue that featured the works of abstractionists and would eventually become the San Francisco Art Center. 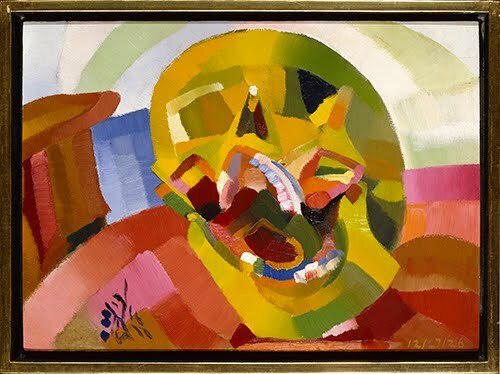 In 1927, Gee went to Paris, where he immediately became intimate with members of avant-garde art movements from Cubism and Futurism to abstraction. 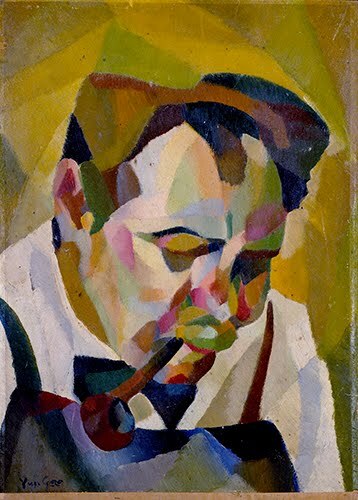 He exhibited often at the Salon des Indépendants—the venue for artists considered too avant-garde for the mainstream art scene. He returned to the US, settling in New York in 1931. Despite shows at the Brooklyn Museum and the Museum of Modern Art (1932), Gee struggled through the Depression years (1929–1940), due in large part to the preference for Social Realism at the time in the US, as well as discrimination against his Asian heritage. He painted murals and taught art for the WPA during the Depression, and his painting style ultimately was honed into a combination of Cubism and a more ironic (rather than “social”) sense of realism. A second stint in Paris (1936–1939) garnered him two one-person exhibitions at the Galerie à la Reine. After his return to the US, his painting style gradually drifted toward abstraction that reflected Abstract Expressionism. Painting was not Gee’s only creative offering. He wrote poetry, which often accompanied his paintings, that reflected both Taoist tradition and the modern poetry of people such as Gertrude Stein (1874–1946) (whom he had befriended while in Paris). He also danced, designed sets, and wrote for the stage. Although he was known best as a painter, he expanded his search for beauty in the world through bird-watching and playing numerous Chinese instruments. 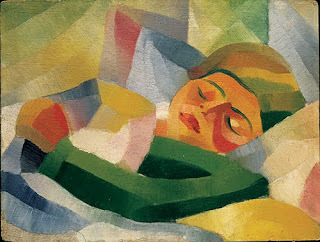 Works such as the following two paintings lead me to believe he may have been in contact with either Morgan Russell (1886–1953) or Stanton MacDonald-Wright (1890–1973), two American artists in Paris who pioneered the Cubism/Orphism-inspired movement Synchronism! Am I right?